This has been such a full year. So much so that I decided to write about it in the summer and recap the first part of the year. 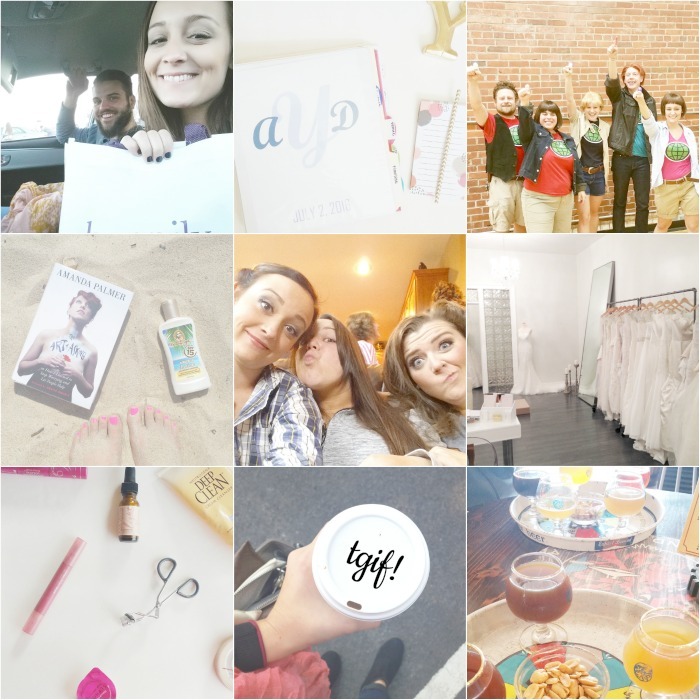 I like putting together these little "year through Instagram" posts, because I feel like they show what is really going on in my life at that time. Instagram is my favorite social media. I love browsing as well as thinking about the photos that I want to post. It is a very creative platform, and I love to see what people come up with. I did already participate in my "best nine" on Instagram, but I don't know if those photos accurately represent my year. So I put together a little list of 9 photos that I think are the best representation of 2015. Or at least the second half. This summer we spent tons of time at the beach! I read a lot of books, and totally made this my happy place. In September one of my best friends got married! It was so fun and special to be a part of her day as a bridesmaid, and stand with her while she married the love of her life. For Halloween, some of my co-workers and I were Captain Planet and the Planeteers. We won best group prize for our awesome costumes! I spent lots of time wedding planning this year. I am glad that I was able to do so much ahead of time, so that I am not rushed to make so many decisions. I said yes to the dress! And I actually have my first fitting on Saturday! Dave and I got the wonderful experience of putting together a wedding registry. What we thought might be a weird experience actually turned out to be fun. Here are some tips if you are putting together a registry. I got more into makeup and beauty products this year than I ever have been. I have been loving trying new products, and slowly adding some high end stuff to my collection. I'm still obsessed with coffee. If you want to follow along with my life, be sure to follow me on Instagram! My username is alexandrastacey.